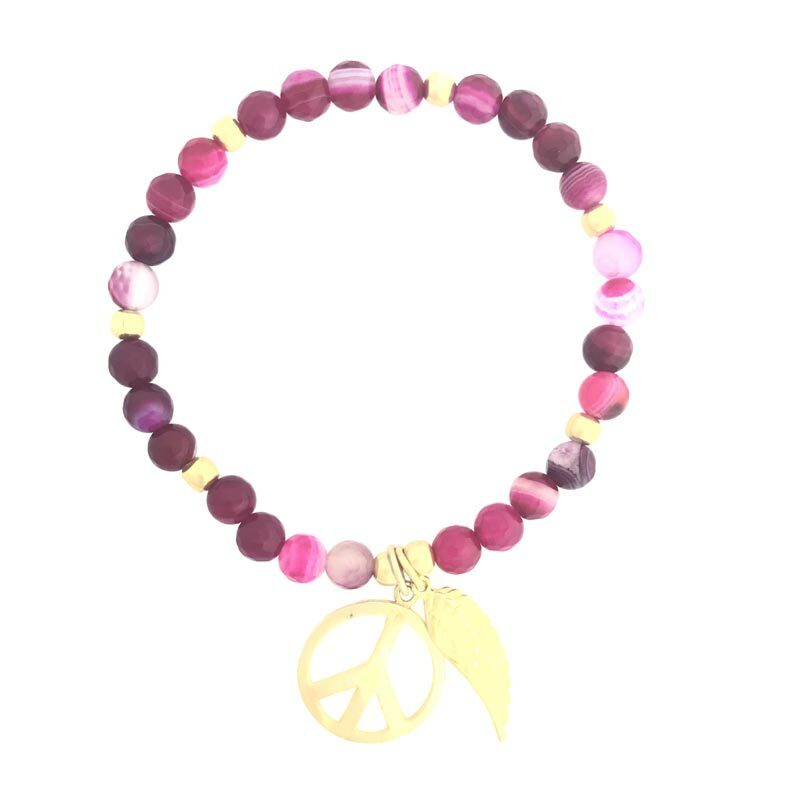 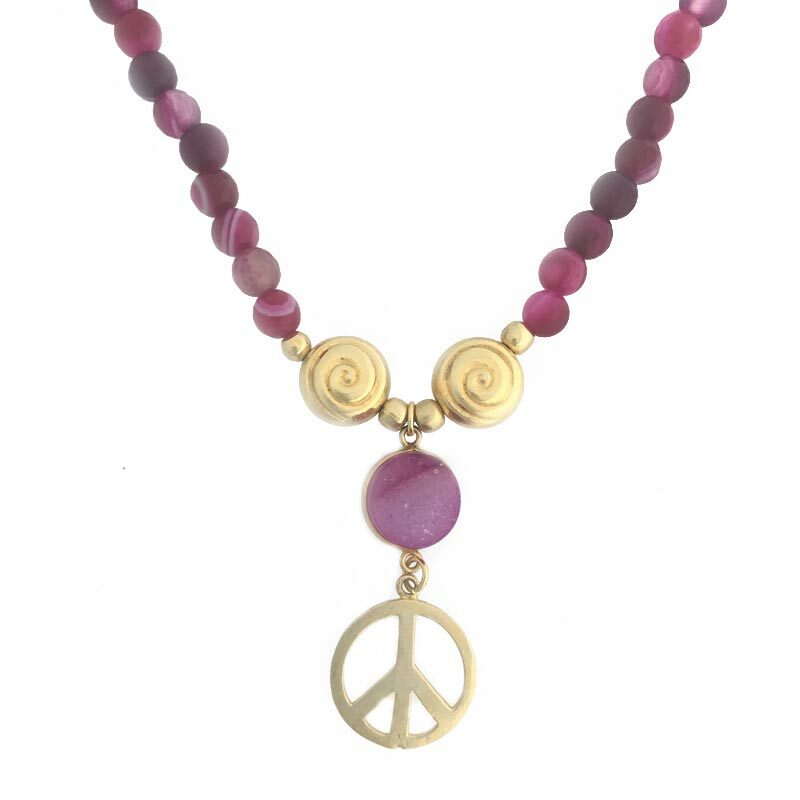 Fabulous longer length necklace with semi-precious Pink stones and gold peace charm. 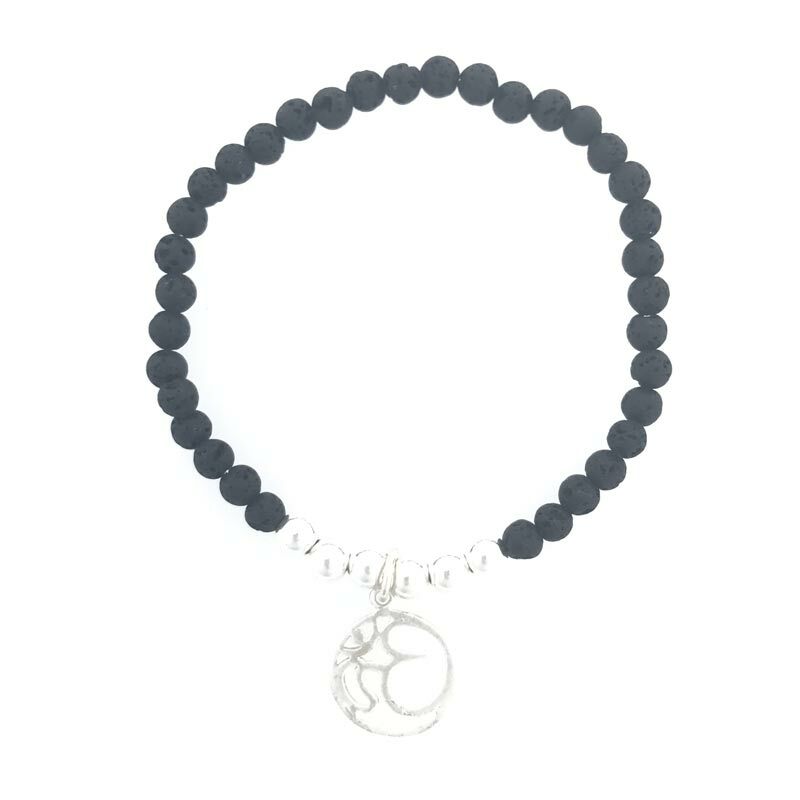 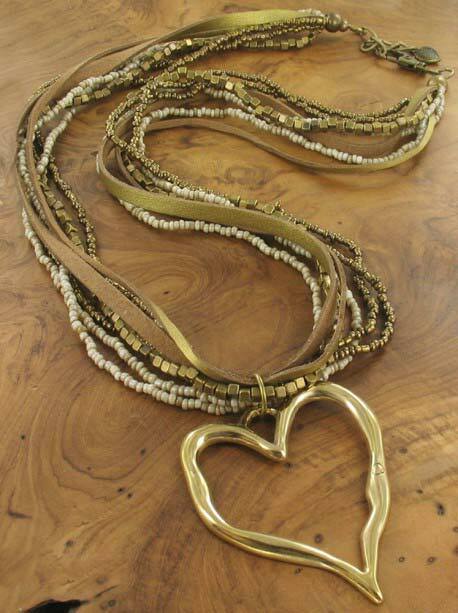 The necklace chain is made of rubber strands with crystal decorative links and a golden clasp. 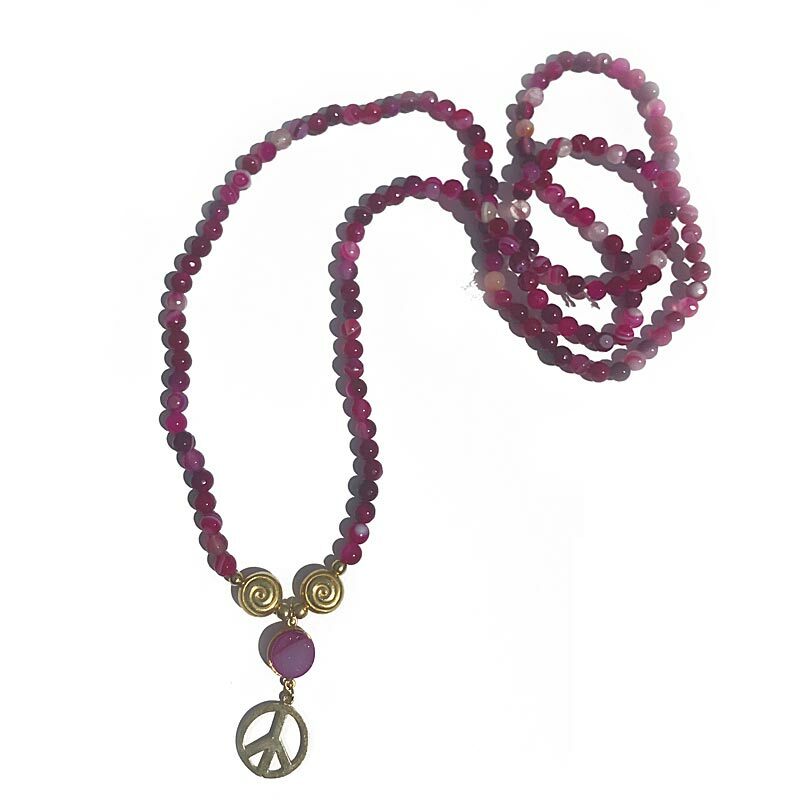 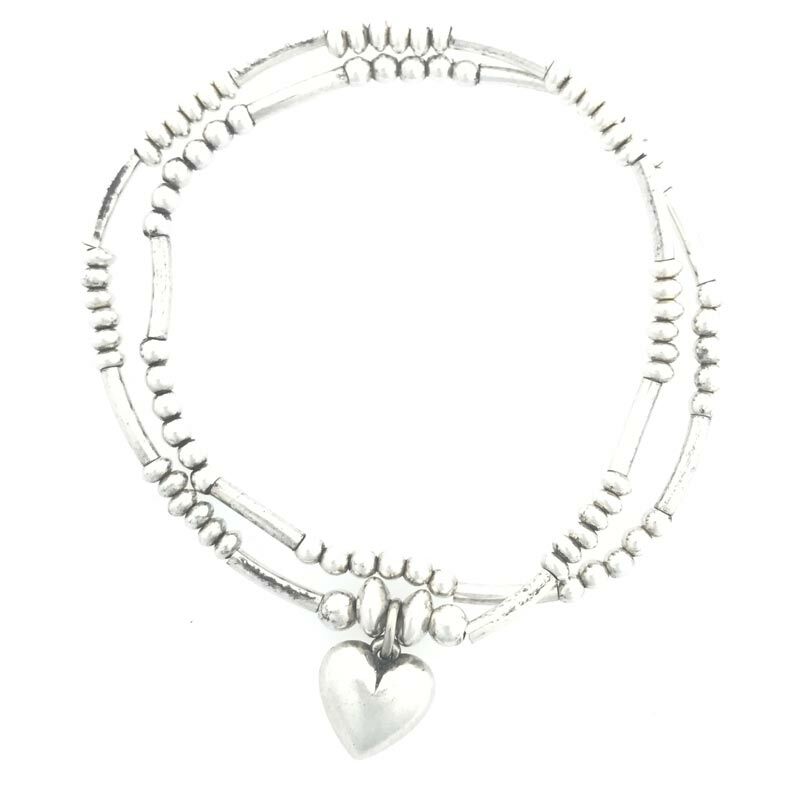 The ornate precious stones are mounted in gold-plated sterling silver.